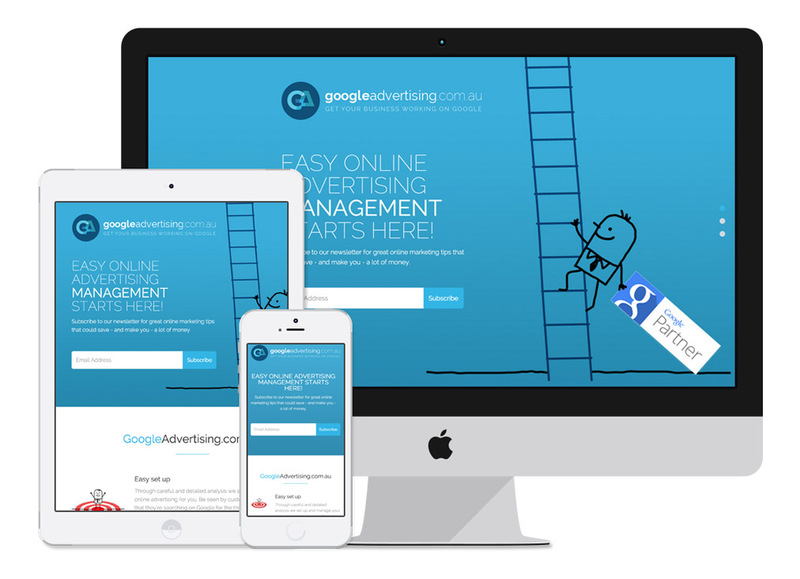 Google Advertising provide regular, detailed and easy to understand online advertising reports in plain English that help their clients make decisions around their budget that improves business output and conversion. 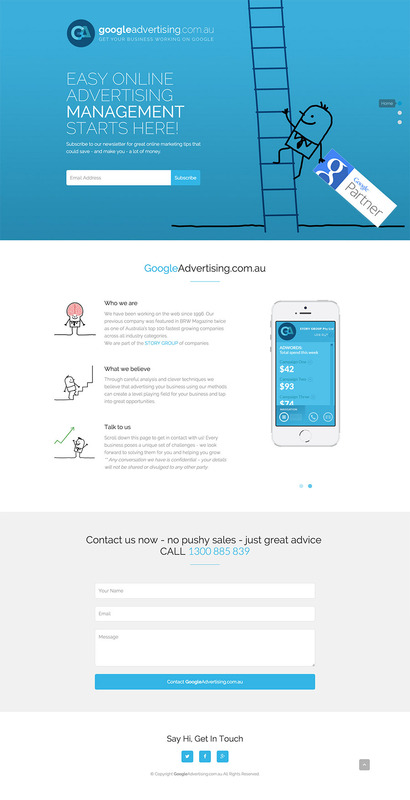 Story created a "single page" campaign website to work in conjunction with Remarking, Print and Adword campaigns GA are running to generate leads for their salespeople. Story built the GA site to be fully responsive – working across Smart Phone, Tablet and Desktop systems so that the interface adapts to the viewing platform automatically.